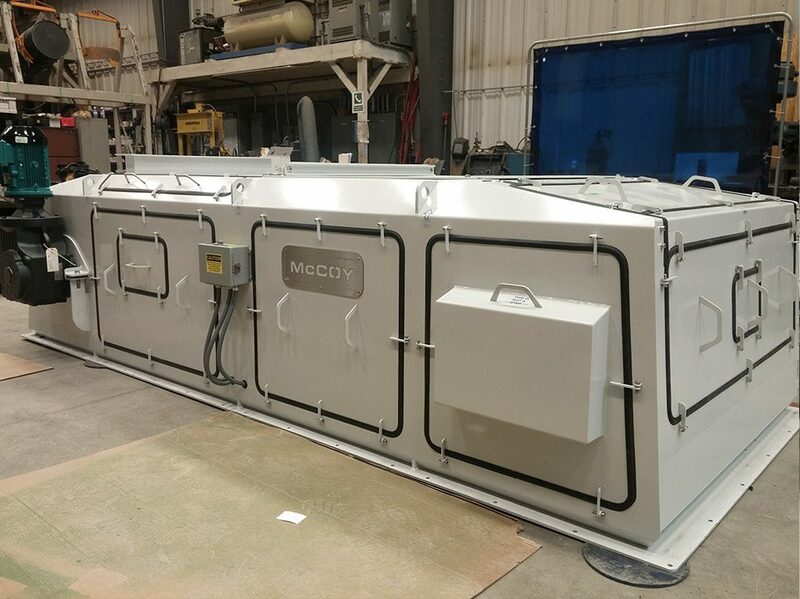 McCOY WW300 is a medium-to high-capacity weighfeeder for macro ingredient additives. It is designed for industrial applications such as mining, cement, chemical processing, pulp and paper, and other heavy industries. In cement and mineral processing, weigh-feeders can be used to provide rate control for blending raw materials or additives. Durable and almost maintenance free, McCOY WW300 is custom engineered to meet the application. It is specially designed for heavy-duty industrial and harsh applications. The design eliminates material build-up to ensure accurate, reliable measurement. The unique weigh system reduces dead load and applies live load directly to load cells for accurate measurement. The dual load cells are externally mounted for easy access and maintenance. 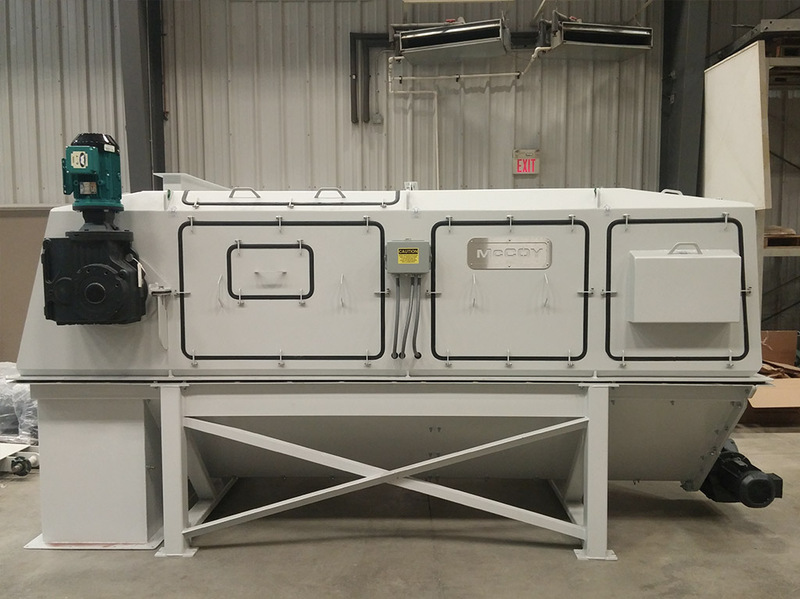 McCOY WW300 comes with weigh bridge, speed sensor, and test weights supported by Milltronics BW100, BW500 or SIWAREX FTC microprocessor-based integrators for easy blending, batching and feed rate control. 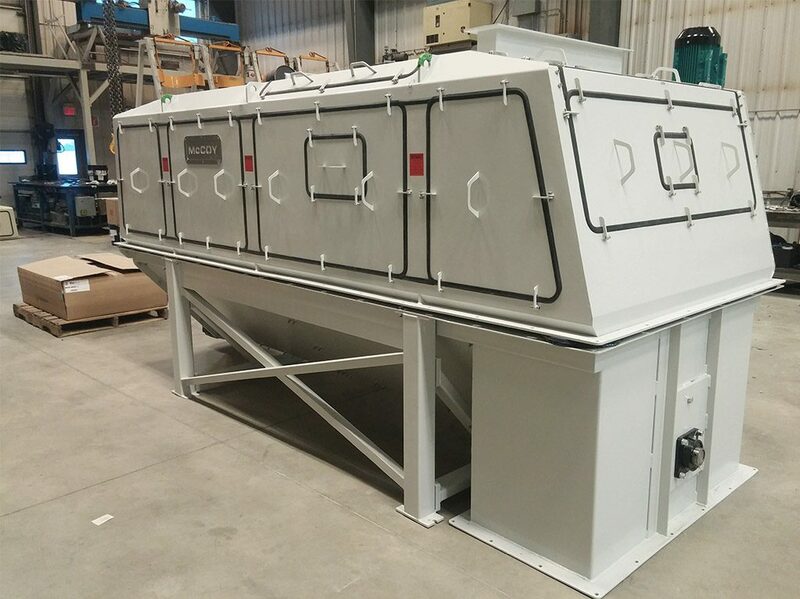 It is available in a variety of belt widths up to 1.8m (72”), several different inlet configurations, and materials of construction. Weighfeeders weigh bulk material while it is conveyed. An accurate rate of fl ow and totalized weight measurement is received without interrupting the process. An adjustable mechanical shear gate profiles the material and fixes the correct material bed depth for a given material particle size. The belt speed can be automatically adjusted to attain the correct feed rate. In-motion weighing requires accurate transmission of the product load to strain gauge load cell(s). The resulting voltage signal corresponding to weight is transmitted to the integrator and becomes one of two inputs required for integration. Unlike static weighing, in-motion weighing integration requires a second input: a pulse signal proportional to the speed of the conveyor belt. Each belt speed sensor pulse represents a fi xed distance of travel. Since the force measured by the load cell is represented as weight per unit length, it can be multiplied by the distance of belt travel (one speed sensor pulse) to provide product weight for that segment of the belt. Weigh feeder complete with auger discharge side showing drive gear motor. Weight feeder showing access covers to scale modules and belt speed encoder. 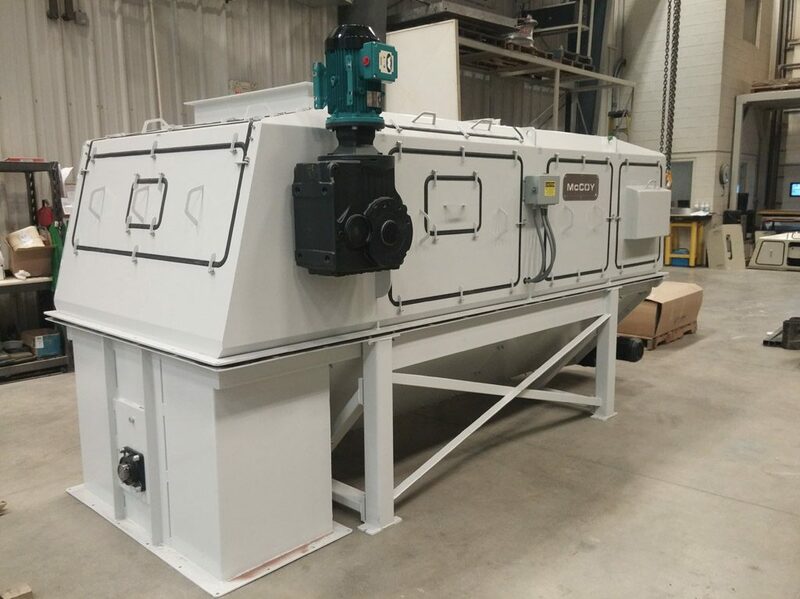 Weigh feeder complete with auger showing discharge end and access covers that allow complete access to the cantilever design. Weigh feeder complete with auger for overflow residue, designed for clinker handling in cement manufacturing plant.